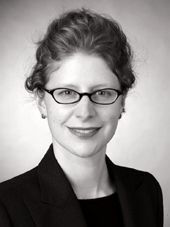 Alexandra Spitz-Oener received her "diplom" in economics in 2000 and her Ph.D. in economics in 2004, both from the University of Mannheim. Currently, she is an assistant professor (junior professor) at the Department of Business and Economics at Humboldt University Berlin. Prior to her position at Humboldt, she worked at ZEW Mannheim and CREST in Paris. Her research focuses on topics related to the wage structure; in particular, skill-biased technological change, migration and education.